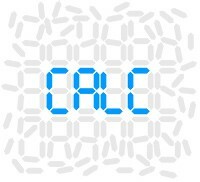 人工知能（AI）技術による大規模データ解析サービス「CALC」に新機能を搭載 | Sony Computer Science Laboratories, Inc.
Information Services International-Dentsu, Ltd. (“ISID” Head office: Minato-ku, Tokyo; President and CEO: Setsuo Kamai), Sony Computer Science Laboratories, Inc.(Head Office: Shinagawa-ku, Tokyo; President and CEO: Hiroaki Kitano; hereinafter, “Sony CSL”), and Koozyt, Inc. (Head Office: Minato-ku Tokyo; President and CEO: Takahiko Sueyoshi; hereinafter collectively, the “Parties”) today announce the launch of new functions within the “CALC”, a large-scale data analysis service, with an artificial intelligence technology that is cooperatively deploying business by the Parties. This latest version includes a technology for estimating hidden factors not included in data inputs. CALC, a proprietary AI technology developed by Sony CSL, was commercialized by the Parties in May 2017 and is provided as an integrated service comprising analytical tools, data analysis and consulting services. CALC, a technology capable of extracting direct factors and causes within data-related factors difficult to estimate using conventional analysis methods, is used to analyze problem prevention and improvement measures in a wide range of areas including quality enhancement, customer satisfaction, marketing and human resources within the automotive, precision machinery, heavy equipment, chemicals, services and various other industries. The Parties have further developed CALC with the aforementioned new function enabling to estimate the existence and location of hidden factors not included in data inputs. In large-scale data analysis, there is a problem caused by a difficulty in determining whether data inputs are sufficient in terms of the results required. Use of this newly added function makes it possible to determine if insufficient critical data is affecting analysis results and understand the cause of the insufficient factors. As a result, it is possible to establish an effective PDCA cycle by estimating what data needs to be added and considering measures for collecting it. In addition to this, there are a variety of other newly added functions that support more efficient large-scale data analysis, including the automatic processing of missing records in data, the automatic extraction of combinations of multiple important factors and a smart dashboard function. Going forward, the Parties is determined to contribute to the resolution of issues faced by client companies and society by further expanding CALC functionality and accelerating the practical application of AI in a wide range of fields.